March and April were a couple of the hardest months we’ve had since becoming parents of two. We were struggling to stay afloat and not sleeping much. I started to feel depressed/anxious on and off (which worried me a bit, given my past struggles), and was at a loss for how to write about what I was going through. For a while, I lost the motivation to do many of the things I normally enjoy. The past few years have been amazing and intense and emotional and exhilarating and exhausting. The phrase “burning a candle at both ends” comes to mind. My kids are my world and being a mother is my favourite role in life, but it’s so damn hard sometimes. That’s just the honest truth. Some days you just survive. But then there are those daily moments that take my breath away…make my heart burst with love and my eyes well with tears, and it’s like…oh yeah. THIS. This is it. This is what makes it all worth it a million times over. Grateful doesn’t even begin to describe how I feel. Thankfully, we seem to be in a better phase right now: we’re all getting more sleep, and the kids have been much happier. I’m soaking it up! My motivation has also returned and inspiration seems to be everywhere lately. Despite the incessant rain of late, things are feeling fresh and new again. My birthday is coming up in a week, so the timing couldn’t be better. 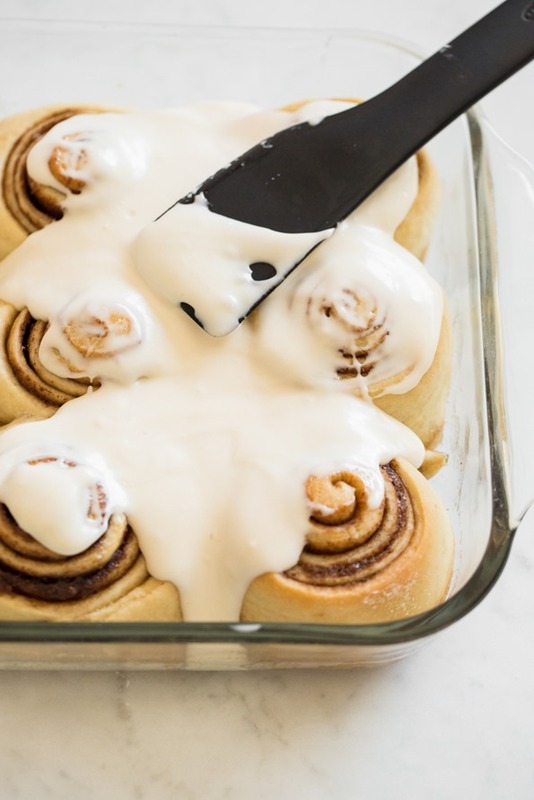 Fluffy cinnamon rolls topped with a sweet and tangy cream cheese frosting; these are great to whip up for special occasions or laid-back weekend mornings. There are quite a few steps, but don’t panic! I promise, as long as you read everything over before you begin, you'll be fine—they're actually quite easy to make. Even though this recipe technically requires about 2 hours and 45 minutes total time, only 30 to 40 minutes of that are active. The remainder is rest and bake time, during which I encourage you to kick up your feet and relax! See my tips below for how to make these the night before, too. I adapted this recipe from my Pumpkin Pie Cinnamon Rolls (2010). Set aside a 9- by 13-inch casserole dish. For the yeast: In a small bowl, add the warm water. Make sure it’s not too hot; it should feel like warm bath water (approximately 110°F/45°C). Stir in the sugar until mostly dissolved. Now, stir in the yeast until dissolved. Set aside for about 6 to 7 minutes so the yeast can activate (it’ll look foamy when ready). For the dough: Flour a working surface for later. Add 2 cups of flour into a large mixing bowl. Melt 1/3 cup butter in a small saucepan over low heat. Remove the pot from the burner and stir in the almond milk, 1/3 cup sugar, and salt. The mixture should be lukewarm—if it’s any hotter let it cool off for a minute. Stir in all of the yeast mixture until just combined. Pour the wet yeast mixture over the flour and stir with a large wooden spoon. Stop mixing once all of the flour is incorporated and it looks a bit like muffin batter, about 15 seconds. Add in the remaining 1/2 cup and 3 tablespoons flour. Mix with a spoon for several seconds. Lightly oil your hands and roughly knead the mixture until it comes together into a shaggy, sticky dough. It’ll probably stick to your fingers (even with the oil), but that’s normal. Turn the dough out onto the floured surface. Knead the dough for about 3 to 4 minutes until it’s no longer sticky to the touch; it should be smooth and elastic. While kneading, sprinkle on a small handful of flour whenever the dough becomes sticky to the touch. Don’t be afraid to add some flour; I probably use between 1/2 and 3/4 cup while kneading. Shape the dough into a ball. Wash out the mixing bowl and dry it. Oil the bowl (I love to use a spray oil for ease) and place the ball of dough inside. Flip the dough around so it gets lightly coated in the oil. Tightly cover the bowl with plastic wrap and place it in the oven with the light on (or simply in a warm, draft-free area). Let the dough rise for 60 minutes. Meanwhile, make the cinnamon sugar filling. In a small bowl, mix 1/2 cup sugar and the cinnamon and set aside. Make the pan sauce: In a small pot, melt 1/2 cup butter (you can use the unwashed pot from before). Remove half of the melted butter (eyeballing it is fine) and put it in another small bowl (this will be spread onto the rolled-out dough before adding the cinnamon sugar). With the scant 1/4 cup melted butter remaining in the pot, stir in the 2 1/2 tablespoons of brown sugar until combined (this is the pan sauce). Pour the pan sauce into a 9- by 13-inch casserole dish and spread it out. After the first dough rise, re-flour your working surface and grab a rolling pin. Roll the dough into a large rectangle, approximately 20 by 14 inches. With a pastry brush, spread the remaining melted butter onto the dough, covering the entire surface. Sprinkle on all of the cinnamon sugar filling, leaving a 1/2 inch around the edges without any sugar. Grab the end of the dough (short side of rectangle) and roll it up, rolling as tightly as possible. Place it seam-side down once it’s rolled up. Use a serrated knife to slice 1 1/2 inch–thick rolls. You should have 10 to 12. Grab your cut rolls and place into the prepared pan, cut-side down, a few inches apart from one another. Cover the pan with plastic wrap, place into the oven with the light on, and allow them to rise for 45 minutes. Meanwhile, prepare the Vegan Cream Cheese Frosting. After the second rise, remove the rolls from the oven and preheat the oven to 350°F (180°C). Remove the plastic wrap. Bake the rolls for 23 to 26 minutes at 350°F (180°C), until lightly golden in a few spots. Remove from oven and allow the rolls to cool for about 10 minutes. Frost the rolls with the cream cheese frosting. Slide a butter knife around each cinnamon roll and lift it out. (Alternatively, you can pop them out first and frost each roll individually.) Serve immediately and enjoy! If you have leftovers, you can wrap them up and chill them in the fridge for up to 48 hours. I like to reheat unfrosted rolls in the oven on a baking sheet for 5 minutes at 350°F (180°C). The oven returns them to their amazing gooey-soft state! Alternatively, you can freeze the cooled unfrosted rolls (wrap them in a layer of plastic wrap, followed by tinfoil) for a week or two. To reheat, simply unwrap and pop them frozen onto a baking sheet and into the oven for 10 to 12 minutes at 350°F (180°C) until warmed throughout. The edges get a bit crispy, and it’s oh so good! Nutritional information does not include frosting. For nutritional info for the frosting, please visit the "Vegan Cream Cheese Frosting" link in the recipe. Want cinnamon rolls prepped for breakfast the next day? Simply follow the recipe until you complete the second rise. Place the wrapped dish in the fridge overnight. In the morning, remove the dish from the fridge and let the rolls sit in the oven with the light on for about 20 minutes. After that, remove the dish from the oven and preheat the oven to 350°F (180°C). Remove the plastic wrap, and bake as directed. They can be prepped up to 18 hours in advance. Just be sure to cover the dish tightly with plastic wrap while in the fridge. Keep your eyes peeled for a step-by-step cinnamon roll video coming soon! Be sure to subscribe to our YouTube channel so you don’t miss it. And as an aside, to anyone out there battling the bad flooding happening throughout Eastern Canada, our hearts go out to you! Yep, you have your hands full. I just had baby #3 last week, a boy this time and forgot about the whole “sleep” problem. He wakes up every hour, haha!!! Whoever coined the phrase “sleeps like a baby” was off base. Way not true! Babies don’t sleep. hehe. It’s amazing how a 7 pound human can keep a whole household up every night. Having said that…..I think this is why we need little treats. I NEED yummy food when getting no sleep. It’s the only thing that gets me through the day with 3 busy kids to take care of and this sleepless (but adorable!!!!!!) newborn in my life. These look delicious!!! I was drooling over them on instagram all week haha! Thank you, can’t wait to make them!!! So fun that you were following along on Insta stories…I hope you love them! Welcome back! These look delicious. I’ve never braved making cinnamon rolls but I might try these! Any vegan butter recommendations besides Earth Balance? (Trying to avoid palm oil.) Would the measurement need to change if using butter instead? I’ve passed your latest book on to both of my aunts, and they adore it like I do. Most recently I made your chia jam with strawberries and used some of it in your breakfast oat bars. I really appreciate the time you’ve put in to the blog, your recipes, and your cookbooks. Take care! Yes! (If you’re in the states) you can find Miyoko’s palm oil free vegan butter at many health food stores. I also saw it at Trader Joe’s. I made these for Mother’s Day with Miyoko’s butter from Trader Joe’s, and I think they turned out really well. I haven’t made them with Earth Balance so can’t compare the two, but I thought mine were great! I was thinking that coconut oil might be a good sub for the vegan butter, although maybe that is too similar to palm oil. Hope this helps! Let me know if you try it out. These look so, so good :) I think they’d be a great addition to our mothers day brunch! I love your blog and am glad you’re back! OMG, they look so good! Your posts are the living proof that vegan is just the way to go! Thanks for the love, Rosa! So excited to try these this weekend. Do you think they would be okay to make ahead 2 days in advance and then follow the steps you indicated in your tips? I was hoping to make them Friday and then bake/serve them for Mother’s day? I love cinnamon buns!!!!! Thank you for making actual desserts. i feel like you have a better grasp of what it means to be healthy than a lot of other bloggers out there. There should absolutely be room for a real cinnamon bun from time to time! OMG!! This looks soo good! wow! This looks great! Wondering if they can be modified to be gluten free? Would you just replace the flour with an all purpose gluten free flour or would a rice flour work better? I tried making a gluten free version with rice flower and the results are not ideal. I didn’t make any other substitutions. The rolls didn’t rise much during the second rising and they didn’t change in size after baking them. Basically they look like a cooked version of the rolls right after you cut them. Next time I’m going to try it out with all-purpose gluten free flour, unless you have any suggest. Oh no, I’m so sorry to hear that swap didn’t work out. :( It can definitely be tricky making substitutions in vegan baking, and even trickier when you go gluten-free on top of that. I suspect you’ll have better luck with an all-purpose gluten-free flour. If you try it out, please let me know how it goes. Good luck! I’m going to try King Arthur GF All-Purpose Flour. Thanks for the great Recipe Angela. We are big fans over here at my house. Even my meat-eating husband. Aw, thanks for the love, Beth. I look forward to hearing how the King Arthur GF works out for you! Ah I AM SO HAPPY! So I used the Bob’s Red Mill pizza crust flour mix and followed Angela’s instructions exactly (replacing the all purpose flour with the BRM pizza crust flour mix) and oh my goodness, I don’t think I’ve had a GF cinnamon bun THIS good. It was like perfect texture with that short and chewy cinnamon heaven in the middle. I really really really recommend my GF people try this out. I was so impressed :) BONUS – it comes with a packet of yeast! It’s so great to hear that worked out so well, Stephanie. Thanks so much for sharing! I’m so curious now…I HAVE to get some Bob’s Red Mill pizza crust flour mix and try out this sub! I don’t put tips in my recipes unless I’ve tried it myself successfully, but it’s definitely on my list! Perfect timing with the holidays coming up. I hope you enjoy it Angela…do you mind sharing how it goes if you try it out? I tried this with Pillbury gluten free all purpose flour and the dough is so crumbly. It won’t stay together especially for rolling. Maybe I’ll try the red mill pizza crust flour. I hope this doesn’t sound mean because it is NOT intended that way, but sometimes it is nice to hear that others find this whole parenting thing difficult and have to make choices as well. And at the same time find it completely amazing and wonderful. Hang in there! Thank you for sharing your stories about parenting on Instastories. Your trip story was especially comforting for me as I had just returned from a challenging trip to Mexico myself. I could identify with so many things you mentioned. I’m heading to the kitchen to make these right now!! They look delish!! Hey Sarah, Aw, I’m so happy that you took comfort in my story (but so sorry that you had a tough trip too!). Traveling with little ones is so hard, and defeating at times. We came back feeling more tired than we left, but still happy we had the experience. I’m sure it’ll get easier with time. I hope you love the rolls, by the way!! These look delicious! I’ve been looking forward to the recipe since seeing them on your Instagram stories! Any idea if I can substitute coconut oil for vegan butter? Great question! I haven’t tried it yet, but I’ll try to do so in the future and report back. :) In the meantime, if you give it a try, please let us know how it goes! I can’t wait to try this recipe! I’m sure it will be wonderful like all your other recipes. And thank you for sharing a bit about your struggles. I think it’s so important for mothers to share these things so that we can all feel less alone. Thanks Stephanie, I appreciate it! I hope you enjoy the rolls if you decide to try them out. Thanks, Stephanie–I appreciate it :) I hope you love the cinnamon rolls when you get a chance to make them! Wow. These look amazing. So proud of all you’ve accomplished, Angela. I look forward to trying this out. Happy early mother’s day! And thank you for all the amazing recipes you’ve shared that even my non-vegan husband enjoys. Thanks so much for the warm words, Elizabeth! If you get a chance to try the recipe, I hope you just love these cinnamon rolls. I just made these last night… Amazing!!!! My favorite part was how beautiful they looked coming out of the oven, just like your photos! I was soooo lucky to be able to test this recipe! I was happily surprised to discover that the hands-on time was tiny (about 25 mins for me baking with 5 toddlers…seriously!) and the steps, though they seem a lot, are each short and so simple. My family members, daycare children and daycare mommies melted when they ate these. I made them a second time just 4 short days later when my nephew came to visit…he is a chef and has a *ahem* selective palate yet I discovered him eating these in my kitchen at 3am!! He loved them, too. Fluffy, caramelized, sweet with a tangy-sweet glaze…oh my gosh! We’ll be whipping these up a third time for Mother’s Day…my children can pop them in the oven when we ( or just they!) wake up on Sunday :) I love that the recipe makes so much…10 large cinnamon rolls. Thank you Nicole, for all your amazing testing! I’m so glad they’ve been such a hit with everyone (including a chef to boot). We’re making these on Saturday in advance of Mother’s Day…I can’t wait to enjoy these in bed!! lol. Yes, these are Mother’s day for my mom (and me!)! For the daycare mommies, I’ll be baking up your Chocolate Chunk Cookies with their little ones tomorrow, tying them with a bow and packaging them in some pretty tissue paper + gift bag. They always love this cookie so it’s sure to be a hit! Luckies!! I wish my kids went to your daycare!! Super impressed you’ve done anything work related at all with two littles. Did you try using sprouted spelt in this recipe during your testing? Was thinking of using 50/50 with white. Hi Sarah, I haven’t had a chance to try a 50/50 spelt/white trial yet, but I do think it could work. Since spelt tends to be a “wetter” flour when mixed, you might need to use more spelt flour if the dough is too sticky. A good place to start might be searching for spelt cinnamon rolls online and seeing if those look okay, heh. They look so delicious! Would love to try them sometime! Yum!! What type of Vegan butter and cream cheese do you recommend?? Thank you! Hey Shereen, I tested these with Melt, Earth Balance, and homemade vegan butter–all worked great! And as for vegan cream cheese, I used Daiya brand, but any will work fine as long as it’s unflavoured/plain. Hope this helps! Cinnamon rolls are life! Totally making these over the weekend! Oh, these look wonderful! Can’t wait to try them, thanks for sharing. I hope you love them, Heather! will it work with oil / coconut oil? I haven’t tried this recipe with coconut oil yet myself, but I’ll try to do that in the future and report back. If you give it a go in the meantime, please do let us know how your rolls turn out! I’d love to hear back. Can these be made using gluten free flour? Hey Nora, Twins–I can only imagine! It’s funny you said things got easier around 5 years of age. My mom has been telling me 4/5 is the magic age…haha. Mommy’s little helper kicks in? I already notice things getting a bit easier with Adriana now that she’s moving closer to 3. Two to 2.5 was probably the hardest so far. Good luck with your 18 month old…we found 16 months was when things started to get really challenging with our first; it’ll be interesting to see how Arlo is around the same age! They all have such unique personalities. We can already tell that he’s more active/squirmy/into things than his big sister was. ;) Okay I’m rambling now, but just wanted to say thanks for your support. We got this! Oh my goodness, can’t wait to try! You will make my cinnamon roll-loving son’s day! WOW – these are simply stunning and I’m sure they taste amazing as well! The photos are also beautiful as always! Aw, thanks Izzy! I hope love them if you give the recipe a go. These are seriously the best vegan cinnamon rolls I’ve ever seen!!! Oh my gosh…I can’t stop looking at your pictures, they look so perfect…I think I can even smell that lovely spiced aroma. Thanks, Gemma :) If you get a chance to try the recipe, I hope you enjoy them! Hi! Can you substitute coconut oil for vegan butter? Hi there Corinna, This isn’t something I’ve tested yet, but I’ll try to do so in the future and report back. :) If you decide to give it a try before then, though, please let us know how it goes! I’d love to hear back. These cinnamon rolls look amazing! Thank you for sharing. And thank you for being honest about motherhood, I can only imagine how difficult keeping up with all of this with two littles at home. You seem to be doing an incredible job! Thank you for being so transparent re: your ongoing parenting struggles. Life is hard, parenting is so hard. I feel acutely aware of how precious this time with littles is, and yet it's still so hard to manage all the conflicting interests. I agree, Aimee! Definitely no such thing as enough cinnamon rolls ;) I hope you love this recipe! I’ve had some pretty big lows with my three kids (hello, 3 kids, 3 and under). Take it a day at a time, and always look for ways to reduce, do less, minimize. But it’s SO nice to see you back and a great new recipe! My mom made cinnamon rolls, but I never have done it from complete scratch myself. I bet my kids would love helping with these. Pizza is always such a fun (and sometimes messy/trying) time for us. And one of them always helps with some aspect of each step, particularly punching the dough down. I start with milk instead of water, 2 cups, so you do end up with more rolls to freeze or give away. To that I beat in 3 fresh eggs.Not vegan, so maybe not useful to you so far, but pretty nutritious! When it comes to filling, I use straight cinnamon, no sugar, plus some raisins scattered over the dough before rolling up. Instead of frosting I pour a butter & brown sugar mixture (melt 1 stick butter, 1cup brown sugar, add 1/2 cup water & bring to a boil) into the baking pans, sprinkle with walnuts and then place the rolls side by side in the pan. Instead of plastic wrap I put the pan inside a clean, recycled grocery produce bag. (Same bag can be used to cover the rising dough in the bowl). These buns freeze well and they endear you to friends and family! Just made these for my family and they were gone within minutes! These look and taste like the real deal, yet they have a vegan twist which I love! I even found a vegan creamcheese recipe on the web which I made to use in the frosting…it turned out amazing. Have you ever thought of creating your own vegan creamcheese recipe? The storebought ones are pricey. Thank you for creating and sharing such wonderful recipes! I’m so happy to hear the recipe was a hit, Rosie! I haven’t tried making a homemade version before, but I would like to try in the future. Glad yours was a hit! Oh. My. Goodness. These are the best cinnamon rolls I have ever made! And I’ve made my fair share, trying to find the perfect recipe. These are better than Cinnabon! And I’m a die hard for them. The steps Angela gave were a bit overwhelming originally to read but as I went through it made sense and was super helpful. I followed step by step and they turned out just like her photos! My brother kept saying that through the process that it looked the same as hers. True sign of a good recipe! I give 5 stars for these soft, delicious cinnamon rolls! These were amazing! I have been watching your stories lately and waiting for the final recipe to come out. I rushed to the grocery store to pick up a couple of the missing ingredients from my pantry and after picking up my bundle of boys from daycare we got making them! Just enjoyed our first one and they taste as amazing as they look! My vegan journey started with your first cookbook and I will never look back now. You create an amazing balance of whole foods and these cinnamon buns are a great treat! Keeping on glowing! I hope you just love these rolls if you give the recipe a try, Davin! I just made these and followed the recipe exactly. They were perfect. I wouldn’t change a thing. They are cafe quality! My cousin isn’t vegan and she loved them as well. Thank you! I’m so glad to hear they were a hit!! Super easy, the little ones will love it, you rock! I tried to make these but my dough didn’t seem to rise :( yeast was foaming, and I followed the directions exactly but my dough was definitely not as ‘sticky’ as you described when I was kneading. Only change is that I used real butter instead of vegan butter. Would this have been the problem? These were amazing! Recent vegetarian gone vegan. Have had a few Pinterest fails recently and was doubting my life choices. I have both your books and I think I will use your recipes only for awhile! Even my husband (who’s an at home vegetarian/meat eater diner) loved them! Thank you for helping me stay the vegan course! Oh, I’m so glad this recipe was a winner for you, Lindsay! Making the transition to a plant-based diet can be challenging sometimes, but finding recipes you love makes such a difference. I hope you enjoy whatever recipe of mine you try next just as much! Hi Mel, Please shoot us am email to press[at]ohsheglows[dot]com detailing the scope of your vegan recipe collection and we’ll get back to you. Thanks! I made these last night and baked them this morning – thank you so much for the make ahead option! I work at a hospital and this past week was Nurses Week which means Cinnabon was giving out free cinnamon rolls. I was craving them and wondered if I could make a plant-based version so your post could not have come at a more perfect time! I thought I would share some of the substitutions I made in case it’s helpful for others. I live a whole-food, plant-based lifestyle which is oil-free so I substituted unsweetened applesauce instead of vegan butter in the dough, filling and pan sauce. I was worried the rolls might taste too apple-y but they were great! I also used white whole wheat flour instead of all-purpose. I think that substitution worked well too, but the rolls were definitely a bit more dense/chewy than a traditional cinnamon roll. Not sure if it’s because of the white whole wheat flour or if I overkneaded the dough. Overall, my husband and I LOVED these and will definitely make them again! They do take a bit of work, but it was fun to knead and roll out the dough. I could see this being a fun (but messy!) recipe to make with your kids. 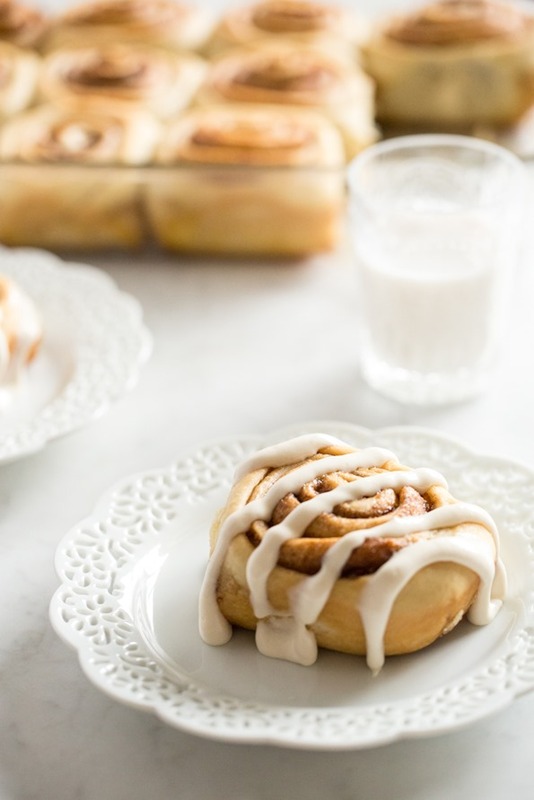 These cinnamon rolls were divine and I can’t wait for Christmas morning so I can make these for our family! I made them this morning for coffee with friends. They were amazing!!! I had three and forced me to stop (which barely ever happens as I’m not a big over-eater). WOW! Btw: I used coconut sugar (as I had no cane sugar) – very delicious but a bit browner than yours. So great to hear they were a hit, Nina! Because I refuse to make anything with all white flour, I opted to do half and half to start. I did 1 1/3 cups using whole wheat BREAD flour (I find whole wheat pastry isn’t great in anything yeast-based), plus a tablespoon of gluten flour for boosting the lost elasticity. The the remaining cup and all added flour for kneading and rolling was unbleached white. It was perfect and there were no issues with rising/rolling/taste. I ran out of Earth Balance, so I made a batch of homemade vegan butter (aside from emulsifiers and flavourings, it’s mostly refined/deodorized coconut oil and virgin canola oil), so I can say that for those wondering about using coconut oil, it would probably be a success, especially if you cut about 1/4-1/3 of it with a neutral liquid oil. For texture, I sprinkled a cup of finely chopped walnuts over the cinnamon sugar mixture, so I’d highly recommend that for those who love a bit of crunch! I didn’t have the right size glass casserole dish, so I used a non-stick cake pan which worked great, but definitely cooked and browned the rolls faster… 20 minutes was more than enough cooking time, so beware of that if you aren’t using glass! I didn’t have powdered sugar on hand, so for the frosting I beat 1/2 cup Daiya, 1/4 cup maple syrup, 2 Tbsp sweetened vanilla almond milk, and a few tablespoons of vanilla coconut yogurt. It was exactly enough to cover the rolls and super delicious, without being sickeningly sweet. WHEW! So, I can’t say how your undoctored recipe turns out exactly, but I can tell you that it’s a very forgiving and wonderful base recipe, so it must be great as is too! Thanks, Angela! Oh my! I am always nervous to try making baked goods because I am usually not very good at it, but this recipe is so well laid out that it was a breeze! I prepped everything the night before, so that I could bake them this morning and it all worked! They are delicious. The only thing I did was let them rise a little longer on the second rise because they didn’t quite look like yours did. I waited until they looked like your picture and voila! Love the blog, the app, and the books. Just gave the two of them to my mother-in-law for Mother’s day. She is thrilled! I’ve been cooking and baking vegan recipes for over 5 years now (made possible by following this blog), and made this recipe last night. This is definitely the BEST vegan dessert I have ever made! It is so so good, and the vegan cream cheese frosting is delightful. Thank you, Angela, for this recipe! Thanks for sharing that. I’m really wanting an GF and vegan cinnamon roll recipe! Great recipe! The pan sauce is definitely what puts these cinnamon rolls over the top! I loved how it made the bottoms sticky and caramelized. I was a bit worried when the dough didn’t rise as much as I expected, but after the second rise they looked better and continued to expand in the oven. I used Kite Hill almond cream cheese and Miyoko’s cultured vegan butter for the frosting. With the frosting melted over the warm buns it tasted just like the Cinnabon frosting!! My mom could not stop talking about how yummy these were. Thanks for the recipe…these made my mom’s Mother’s Day for sure! Also, forgot to add…my Dad suggested pecans in the filling, so I’m going to try adding those next time! Made these cinnamon rolls for a Mother’s Day gathering with family (I’m the lone vegan in the bunch), and they were a MASSIVE hit! It always makes me smile when a vegan dish is the most talked about and beloved recipe at a party full of oodles of dairy-laden treats. Thanks for this awesome recipe! Hey Ashley, Yay, I’m so happy to hear that they were a crowd-pleaser. I totally agree with you on that feeling when a vegan dish steals the scene…hah. I loved seeing your Insta Stories as you made them too! These look amazing and I’m going to make these right now! And as a momma I totally understand what your going through. Mine are 4 and 6. Thankfully each year gets easier as they get older. I got diagnosed with thyroid cancer when my youngest was 6 months old and then colon cancer when my girls were 2 and 4. Thankfully I’m alive and kicking, huge thanks to my girls for motivating me to fight for them and to God watching over me. Definitely made me appreciate all the moments more even the tough ones because I was there. Hang in there mama! Always impressed with your blog and work!!! Hey Sally, My heart goes out to you with all that you’ve been through. I can’t imagine. Huge hugs, and high fives for getting through cancer not once, but twice. You are a superhero, and I bet your kiddos think the same. I wish you all the best in the future! Thank you so much for this recipe. 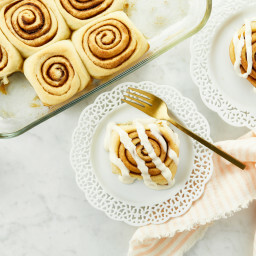 I had so much fun making the rolls for mother’s day morning and eating them too, and my husband and kids are already begging me to make them again. I have a ton of cream cheese frosting left over and it’s going to be hard not to just start spreading it on everything. SO DELICIOUS! Excellent recipe! My first time making these cinnamon rolls and they turned out perfect! That’s great, Lauren! So happy to hear the recipe worked out so well for you. Enjoy! Hah! I’m so happy the recipe was a hit, Jeannie. :) I hope your family loves them, too! My cinnamon rolls are waiting for the oven to heat. I kept them overnight. I’m soo excited for my parents and siblings to wake-up to hot cinnamon rolls (hoping they’ll turn-out great.) I have one question though, do I have to cover them with aluminum foil while baking? I would imagine it mattering depending on the level the dish is placed in the oven. I’ll be placing it on the second row from the top without aluminium foil for now. I always end-up with a lot, 2/3rds of what I made, of frosting left-over. I’ll be eyeballing a tiny amount on the side next time. I’d like to find a less sweeter alternative as well for the frosting. How long is everyone cooking these? I baked mine for 26 min at 350 and the tops were nicely brown, but after cooling I found that the center buns were undercooked on the bottom and still doughy. I used a glass baking pan and made the pan sauce. Do you think leaving out the pan sauce would help them cook more evenly? Hey Gina, That’s the texture they are supposed to be, so have no fear it sounds like you did everything right! But if you don’t like the slightly doughy bottoms, you can try leaving out the pan sauce and they should be more dry. If you try it please let us know how it goes! These look so delicious … I LOVE cinnamon rolls! And it’s funny because I was just coming here to ask you a question about icing sugar! I’ve read that you can make powdered sugar in a Vitamix from regular granulated sugar (I like the idea of using a non-refined sugar) by just blending it for a bit–but I worry that it would sand-blast the plastic blender pitcher. (I once ruined the nonstick interior of our bread machine’s loaf pan trying a recipe for a sugar bread–the sugar stayed on the outside of the loaf during kneading and scraped the pan all up.) So have you done the powdered sugar trick, did you have any trouble? Hey Cara, I have done it in the past and I did find that it made my blender pitcher a bit cloudy looking. I can’t quite remember if it came out after washing, as it was some time ago. Another option is to buy an organic powdered sugar. I like the Wholesome brand. These look absolutely amazing! I cannot wait to try them! I hope you just love them, Myra! Yummy! Definitely going to be making this! Thanks for sharing! Also please spend a little time to write some spicy recipes, as we Indians like to eat more spicy.!! Hah, I’ll definitely keep that request in mind. :) I hope you enjoy these cinnamon rolls when you get a chance to give the recipe a go! Motherhood is exhausting. My boys are 11 and 4, and I’m still tired! The baseball/soccer schedule alone makes me cry. YASSSSS. Thank you for this girl!! I couldn’t wait until you posted the actual recipe, it looked so good on your instagram! All the best to you and babies! Oh my goodness, this looks delicious!!!!!! wow, these look seriously amazing! i’ll definitely have to try it this weekend! You’ve made these look so easy! If I ever have a morning free I’ll be sure to try this out! Looks gorgeous, your photos have tempted me big time! Thanks, Ashley! I hope you just love them if you get a chance to give them a try. OMG these look incredible my mouth is literally watering… I love the short video to accompany it!! Thanks so much for always making your posts so personal and thoughtful- can’t wait to try this recipe!! Thanks for the kind comment, Elyssa. :) I hope you enjoy the recipe when you get a chance to give it a try! Too much perfection going on in those photos! Can’t wait to try this recipe…all of your recipes are top notch! Yasss, it’s so nice to have the recipe after watching your instastories. I made them and the taste was great, the only thing in mine is that the dough was a bit too much “cake-ish”, a lot of air in it and the different layers stuck a lot together instead of falling appart a littl bit (that’s the best). Any idea on how I can get a result that looks a little bit more like the pictures ? Maybe I did’t knead it long enough ? Hi Eline, That’s quite strange it turned out cake-ish, for sure! My guess is that your yeast might’ve been expired or not working properly? Because the yeast should make them nice and dough-like. It also could’ve been not kneading it enough, like you mentioned. Kneading it helps develop the gluten and makes it all light and airy. If you try them out again, please let me know how it goes! I totally agree! Who doesn’t love that cinnamon bun scent? :) So glad you enjoyed the recipe, Paola. I just made these last night. They were phenomenal. We usually buy cinnamon rolls (thank goodness for so many vegan options) and had only made them from scratch once (not the best). I thought cinnamon rolls were something that just couldn’t be made from scratch and taste good! But these were PERFECT!! My husband and I devoured them. The only thing I’d do differently is half the frosting. I’m never a big frosting person and it was a bit too much. The frosting was delicious, just too much. Can’t wait to make these again. Oh, I’m so happy to hear this recipe was a winner, Rachel! This recipe looks so good! Can’t wait to try it out! Hope you love it, Samantha! These were literally the BEST cinnamon buns I have ever tried! They taste exactly like Cinnabon! My family loved them! Thank you for such a great recipe! Angela your comments on parenting drew me right in. I came across your blog simply looking for healthy recipes. The second I started reading about your experiences as a mom I was hooked. You put it all in perspective the struggles but also the rewards I loved it. Thank you for that! Also being a health and wellness blogger my self I can’t wait to give your recipes a try, especially this cinnamon rolls one. 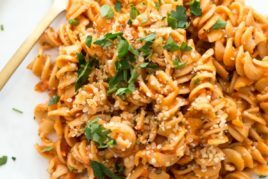 So happy to see a post Angela :)…I have been reading your blog from the beginning and still check several times a week in hopes for a new post as it is always inspiring to read your words and see your recipes. That said, I TOTALLY get the parenting thing. I actually had a blog several years ago and wanted to continue but ultimately decided to hold off because work and parenting demands were too high. More stress was not what I or my family needed! My guys are almost seniors and I wish I could say it gets easier – in some ways it does (the physical demands decrease) – really it just gets demanding in a different way. It is all worth it though. My husband once compared mountain climbing to parenting – 90% extremely hard work but that 10% is indescribable and oh so magical! Hey Suzanne, Thank you so much for the words of encouragement on the parenting front! And I’m so flattered that you check the blog so often and enjoy it so much. Big hugs! Ummmm YES PLEASE. Cinnamon rolls are one of my biggest guilty pleasures but it’s hard to find ones without all those questionable ingredients in them. These are PERFECT! And the recipe comes just in time for the school year to be over so now I have long summer mornings to bake up a batch! I have been so excited to make these and finally had some time this weekend. They are incredible!!! Thank you so much for creating this recipe! I’m so happy you found them worth the wait, Brittany! :) Thank YOU for the lovely comment! Wow these look ever so naughty but nice!! Do you think I could make them gluten free by using oat flour and a couple of tsp of baking powder? Hah, love that description! ;) Unfortunately, I haven’t tested out a gluten-free version using oat flour myself, so I’m not sure what to recommend. Maybe scroll back through some of the comments to see what others have tried? I believe a few have shared some helpful pointers. And if you decide to experiment, please do report back to us, too! This was just the absolute worst recipe for my waistline. So decadent…. so soft and goey. Can’t it just be acceptable to eat them all??? Glad to see you back on the website! Hope all is well with your family. We made these cinnamon buns last weekend and loved the taste! I think we’ll have to wait until vegan butter goes on sale before we can make them again though lol. The thing we will change when we make them again is to roll the dough out thinner so we can get more turns in the dough like you did. We were only able to roll ours about 4 times so we didn’t get as much cinnamon-y goodness in the centre. Your blog and recpes have been hugely inspirational to me in my journey to start Life of Plenty. While I’m sure you’ve received much more meaningful awards, I did choose you in my nomination of the Blogger Recognition Award because of how influential your work has been to me. Cinnamon rolls are my absolute favorite and I can’t wait to try out your recipe. I live in Estonia and have been unsuccessful in finding a store that sells vegan butter. Could you recommend any substitute (would coconut oil work)? Thank you for all the wonderful recipes! Hey Theresa, So glad you are excited about the rolls! I haven’t tried coconut oil yet, but I can’t see why it wouldn’t work (be sure to measure it from solid, though). If you try anything out please let us know how it goes. Thanks for sharing this recipe as well as a peak into your life. I’ve been following on Instastories and I’m loving seeing your beautiful family! Aw, thanks so much, Stephanie! I’m having so much fun with Insta Stories–it’s great to know you guys are enjoying them, too! I made these on the weekend and they were amazing! I did the make-ahead option so I could have them for Sunday brunch. Recipe worked perfectly! Thank you! So happy to hear it, Laura! These look so so so yummy. I will definitely have to try these asap. So glad I found your blog. I hope you enjoy them when you give them a try, Nicole! Angela – you give me the confidence to use yeast, an ingredient I have stayed away from for so long! The yeast activated perfectly, and my rolls are in the oven for the second rise. It’s Friday night and I am preparing them in advance for a Saturday brunch. Love how detailed the recipe is, it is so easy to follow and much faster than I thought. I cannot wait to wake up to these beauties! Thank you!! Hello! This isn’t related to the recipe, but I hope you can answer! Where can I get those storage canisters in the pantry section of cookbook #2? Are the glass? Hello! This isn’t about the recipe, but I hope you can answer. Wher can I buy the storage containers in the pantry section of cookbook #2? Are they made of glass? Thank you! Hey Sylvia, No problem! If you’re talking about the storage containers shown on pages 291-297, those jars are actually Ashley’s (from the blog Edible Perspective), as she shot the photos. I think they may be from Crate and Barrel, though, because they look like the ones I have, too. Hope this helps! I have a couple of suggestions, but I have to start by saying I LOVE your cookbooks — I cook from your recipes at least twice weekly, and it’s not an exaggeration to say your books have completely transformed the way my family eats. Thank you for all the work you put into your books and into the blog! And secondly (because your recent purchase of reusable produce bags makes me suspect you care about such things), I would just like to point out that it is unnecessary to use plastic wrap when making cinnamon buns (or other yeasted items). I use a damp tea towel (or sometimes a plate) to cover bowls when the dough is rising, as well as when the dough is resting on the counter in between steps. When I place my tray of buns into the oven for their last rise, I don’t cover them at all. And when I freeze my cinnamon buns (as I do with all my baking immediately after cooling), I don’t wrap them in anything — I simply place them in a freezer-safe container. I’ve never had an issue with quality and I feel it’s important (and completely do-able) to avoid the use of disposable products as much as possible. 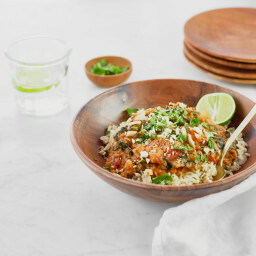 This is looking an awesome recipe, I must try it in coming days. Hi Cat, I haven’t tried a full 1:1 swap myself, so I’m not sure. But, I do know a few readers have substituted whole wheat flour for half the amount of AP flour the recipe calls for, and they enjoyed the results. I hope this helps! And if you decide to experiment, please do let us know how it goes. Thank you for another winning recipe! 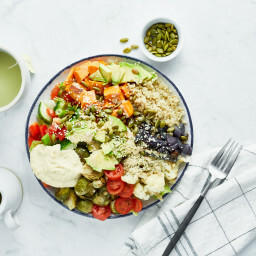 I am traveling to Toronto next week and I wonder if you can recommend your favourite (or several) vegan restaurants in the GTA area. Thanks for all that you do for so many, even with a young family! Hi there Nancy, I’m so glad to hear you enjoyed the recipe! Thanks for taking the time to let me know, and for the warm words. It’s appreciated! :) Sorry I’m getting to this a bit too late to recommend a restaurant to you (though honestly, it’s been a long while since I’ve tried out any vegan places in Toronto, so I don’t know that I would have been much help!). Where did you end up eating? I hope you had a great trip. Thanks for getting back to me. We ended up at Fresh on Spadina. It was within walking distance from my daughter’s apartment. The food was good and plentiful. And the poutine was amazing! We ended up finishing the meal with the chocolate fudge cake. I am glad I don’t live in Toronto as that could be really bad! In addition, they have a book with the listed ingredients for each recipe. Great for anyone with allergies. As an aside, my brother who is an omnivore with celiac disease, came to visit and we were preparing meals from your cookbook. He ended up buying your cookbook because so many of your recipes were gf and he loved the way that your recipes incorporate whole foods. My husband and I switched to plant based eating about 20 months ago and we discovered you right at the beginning of making the switch. You have shaped our eating to be whole food based, rather than eating mock foods. It has definitely been the way to go for us and we are so grateful to you for the ease, creativity and delicious recipes that you provide. I love making cinnamon rolls from scratch. My biggest issue is how long it takes to make them. I always want to eat them 2 hours before they’re finished. I love that you show how to pre make these. The recipe looks amazing. The pictures look so tasty. I’m really excited to try these! I agree, the waiting is the hardest part! Lol. Looking good and tasting delicious, what a remarkable day in the life! hahah Thanks for this recipe, my whole family loved it! I never tried making any type of desserts before, but once I saw this recipe, I knew I had to try it. I’m currently getting it all set up to start. Thank you for the recipe!! Hope you enjoyed the end result, Diego! I may be weird but I prefer cinnamon rolls without toppings. Thanks for sharing your story. You go girl! The buns look great. Looks absolutely gorgeous! You are such an inspiration, Angela! Have you ever tried using dates to replace the sugar? I really can’t taste the difference. Hey David, Do you mean date sugar? I think that could work nicely as a 1:1 swap for the sugar. As for using actual dates, it would take some experimenting since they would need to be blended into a paste, and the wet to dry ratio of the recipe would need some tweaking. :) If you try anything, please let us know! 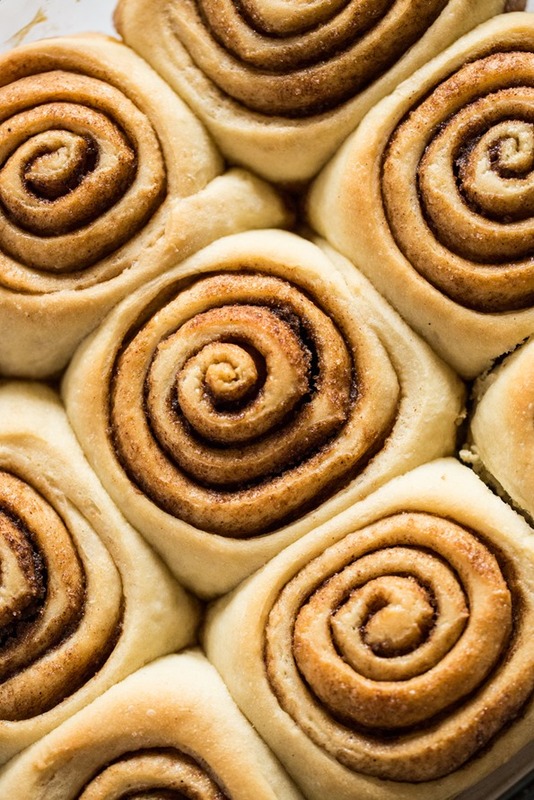 These cinnamon rolls are beautiful and your pictures are making my mouth water. Thank you for this vegan alternative to this classic recipe. I’ve only begun researching vegan recipes and moving my family in that direction. My son has IBD, so we’ve already begun diet changes. He is on a reduced lactose and gluten diet. Where do I find vegan butter? And my son cannot consume coconut oil or almonds. When I search for vegan butter options many are coconut oil based. Maybe I’m not looking in the right place. I would appreciate your guidance. Hey Chelsie, You can find vegan butter in the refrigerator of most grocery stores; it’s often with the dairy-free cheeses and milks. I would check the Earth Balance ingredient list…I can’t quite recall if theirs contains coconut oil or not. Good luck! This recipe looks absolutely delicious! Thank you for all the inspiration. Wow yes, I’ll take ALL OF THEM ROLLS thank you! These look absolutely delicious. Now I can’t wait until the end of the day to go home and try making a batch! Oh my these look fantastic!! I can’t wait to try this recipe!! Thank you so much for all of the delicious vegan recipes! You are truly inspiring. Awesome! These look sooo tasty! These sound absolutely delicious! I can’t wait to try them the next time I need to make a dessert :) Your website is fabulous. I’m a big fan! Thanks for sharing all these awesome recipes with us! omg they look so good!! Well don’t these look like little mouthfuls of heaven! Can’t wait to try these! This is an outstanding recipe! I made them last night at the request of my vegan daughter, and I think they might be the best cinnamon rolls I’ve ever had. Truly delicious! Yummy, It looks delicious and beautiful. Last Sunday I made it on my baby b’day. All children and my party member really like it. And I have shared your recipes with a party member. Thanks to share this recipe and make my baby B’day special. As someone with an egg allergy, I would love love love to try these! Love your books, blog, and app. Have posted about your books on my reading blog, thought you might want to have a look. Thanks Angela! This looks amazing, so excited to try this! Hi there! 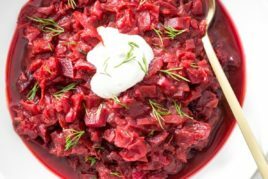 I came across your recipe while searching for foods I can eat while currently on a strict diet (due to BFing my baby who has sensitivies). From one busy momma to another, I wondered if this recipe could work in a bread machine? Thanks in advance! Hey Megan, To be honest, I’m not sure as I haven’t tried it out. I would suggest searching online for “bread machine cinnamon rolls/buns” to see if others have tried it. If you try anything please let us know! Congrats on your baby, too! Was wondering if this recipe can be halved and still come out OK? Hey Stacey, To be honest, I’m not sure as I haven’t tried it out. Sometimes it can be tricky when halving vegan baking recipes. If you try anything please let us know! For vegan icings made with vegan butter, I would suggest adding a pinch of salt. This will help enriched the flavour of the icing and bring out the sweetness too, as the salt contrasts with the sweet taste. Dairy butter used in regular icing has some salt in it, and I’ve always found that this makes a difference, whereas Vegan Butters don’t contain salt and therefore you need to add some to get the same rich flavour in your vegan icings! I am in transition to vegan eating. Trying to drag my 18yo daughter along with me..ha! These look yummy and can’t wait to bake them tomorrow! Has anyone used any other type of flour with this recipe and if so, what was the outcome? Thanks! These look delicious! If I wanted to make them ahead of time on a Wednesday night to bake and serve Thursday evening for a breakfast for dinner night with friends, what would be the best way to do that? I noticed it said refrigerating after the second rise for up to 18 hours would be okay, but this would be more than 18 hours. Could I potentially refrigerate the dough after the first rise on Wednesday night, then roll it out, put it all in the pan for the second rise Thursday morning before work, and then pop the risen pan in the fridge until that evening? Hey Haley, Your breakfast-for-dinner get together sounds amazing! To be honest, my 18-hour timeframe is just an estimate, they may well work in the fridge beyond that. I’m just not positive. My guess is that they could be okay in the fridge for 24 hours (just wrap the pan tightly so they don’t dry out)? As for your other suggested method, I really can’t say because I haven’t tried it like that before. But maybe by searching online you could find someone who has done exactly that. If you try anything out please let us know! Is there anything we can use to substitute vegan butter? Maybe applesauce? Would love to make it more plant based. Thanks! Hi Anne, I know a few people have asked about trying coconut oil, and while I haven’t experimented with that sub myself yet, I can’t see why it might not work (be sure to measure it from solid, though). If you try anything out please let us know how it goes! You’re going to make my wife very happy when I surprise her with these. We are new to the vegan/plant-based diet world, but she has been mentioning the things she’s not sure she can give up. These cinnamon rolls will hopefully be a big hit and one less thing she feels like she has to live without! Oh, I hope she loves them, Benjamin! These look yummy going to share and try making them. Hope you enjoy them, Andy! THE BEST cinnamon rolls everrr, EVEN IF YOU’RE NOT VEGAN. Dough is very forgiving, rose beautifully, very fluffy and it just melts in your mouth. Such a treat ! Only difference is I cut down on the flour about a half cup or 50g ! I’ve got a family BBQ this weekend where I’m in charge of the sweets and this recipe is coming with me! Thanks! Would whole wheat flour be ok for these? Wondering if anyone has tried it. Yummy! Can’t wait to try these, I really love cinnamon rolls, and these being vegan makes it even better! These look so delicious! One of my best friends is a vegan, and I think I’ll make these for her for breakfast on her birthday next week! I know we’ll both love them!! I used a homemade vegan butter the first time I made these delicious rolls but made the dough a little too sour. Second time around I bought a plant-based butter but had to use gluten-free flour because of guests allergies. I used gluten-free buck wheat flour and it turned out good. The dough doesn’t stick too well (might have added too much flour during kneading) and they don’t rise as much. But the result of the taste was wonderful. Will definitely try them again with and without gluten-free /bought or homemade butter! Thanks for an inspiring site. Are these in the Every Day cookbook ??!! There’s just something wonderful about freshly baked cinnamon rolls, isn’t there? This recipe isn’t in Oh She Glows Every Day, no; it’s available only on the blog and in the app. Wow these look amazing! It’s making me want to do some baking! My sister is vegan and I’m always looking to make things she can eat. I love to cook and bake and excited to share this with her. Your vegan cinnamon rolls look so yummy! Can’t wait to bake this. I’ll definitely have to make the pumpkin ones with fall almost upon us! Hey Jenny, So glad these were a hit (and that the make-ahead option works!) It’s always nice to hear when others try out those methods too. Thanks so much! I made these and they are incredible, thank you so much for yet another winning recipe. They are better than the non-vegan version (that I remember) or the processed junk you find in the store. Life-changing. Do you think there would be a way to substitute whole grain flour? Made these today! They are absolutely delicious!! Thank you for the recipe! Hey Salla, So happy you enjoyed them!! Thanks for letting me know. I made a batch of these this weekend, and they were absolutely heavenly! I shared them with all of my non-vegan friends, and one even said they were better than any non-vegan cinnamon roll she’d ever had! The dough was soft and easy to roll out, but my rolls did not rise at all during the 45 minute rise after rolling and cutting. So they were a bit smaller than I was hoping, but it didn’t affect their taste or texture, they were still pretty light. My only variation to this recipe was I used brown sugar instead of cane sugar for my filling, and probably way more cinnamon than called for. Great recipe! You can never go wrong with more cinnamon…haha! So happy you and your friends loved them. I wonder if the yeast had gone bad? Did it foam up after mixing it with the water? Hey I love this recipe!!! Cant wait to try. I recently made a video on the reasoning behind going vegan so if you ever have time to check it out, I’ll link it. feel free to share with family & friends!! Thanks Allie, I’ll check it out! Do you think it’s possible to replace the vegan butter with coconut oil? Hey Alison, I think I have heard from another reader who made the swap with success, but I haven’t tried it personally yet. My suggestion would be to use room temperature almond milk as chilled milk may solidify the coconut oil. If you try anything please let us know how it goes! These are delicious! I keep trying to make the perfect cinnamon roll on my own and yours just the perfect recipe ever! I never need to try it on my own at first. Thank you so much for the kind words, I’m so happy you love it! Hey Rachel, Thank you so much for your feedback! I’m so glad they were such a hit (especially with your Dad…score!) Happy holidays to you as well! I tried making this during the weekend for my kids, they really love it! Thanks angela! Hi there! Can I use coconut oil instead of vegan butter for the dough and sugar filling?? Hey Janika, I haven’t tried it yet myself but I think others may have commented about using coconut oil in the comments. Might be worth taking a peek! I can’t see why it wouldn’t work. Hi, I was looking through your comments and noticed it might be difficult to substitute for Glutin free flour. Since this post was a while back I was wondering if you had any luck or tried GF substitutions with this recipe. (1) does the GF all purpose baking flour work as a good substitute? (2) can we substitute sugar, cane sugar, and brown sugar in your recipe for *coconut sugar? I’m sorry I haven’t tried GF flour, but I think there were some comments from successful blog reader attempts. I haven’t tried using coconut sugar either unfortunately. I can’t see why it wouldn’t work. My only concern is that it tends to be a bit coarse and dry. Hey Missy, That’s so strange, for sure! Since you’re having trouble, I’d recommend weighing the flour and other ingredients so you can replicate what I’ve done. I’ve provided all of the weights in my recipe. Also, I would double check that your yeast hasn’t expired and it’s the correct kind. Hope this helps! These were AMAZING first try! Even my non-vegan family loved them! (I didn’t even have a chance to tell them dairy-free until they scoffed half of the rolls down. I will definitely make them again next time. Maybe with some fresh green apple slices! I can’t believe how neat your process looked. My kitchen and everything involved in the prep (including the dough) was sooo messy, haha. This recipe makes PHENOMENAL cinnamon rolls. I just made them last night and had to stop myself from eating most of them, that’s how good they are. I used a combination of coconut and date sugar instead of cane and it turned out just as delicious and sweet. I also made the vegan cream cheese icing for the topping and it is the perfect consistency for spreading! Can these be made ahead by a week or so and frozen? What are your thoughts on using bobs red mill GF 1 to 1 flour instead of the white flour? Do you think these would turn out with gluten free flour? Hope this helps! Please let us know if you try anything out. :) I may have to try a test run before Christmas! These were the best Christmas morning cinnamon rolls ever! Use the Vegan Cream Cheese too – and for filling, try adding pumpkin butter. Don’t forget to add a hint of nutmeg to the cinnamon filling! Hey Robert, I’m so happy you enjoyed these yesterday…we did too. Really nice treat. I love adding pumpkin butter in cinnamon rolls….so glad to hear you do that too. I don’t love cinnamon so I made these with cardamom and they were amazing!! So so good. Everyone – adults and toddlers – gobbled them up this morning for our Christmas treat. One of my all time favorite recipes! Hey Karin, We had this yesterday morning too…such a treat! I’m so happy to hear that cardamom worked…sounds delicious. I made these with Arrowhead gluten free all purpose flour. Made them ahead for baking in the morning. Not sure if this was okay to do from a health point of view, but I left them to rise all night in the oven with the light on. Baked them in the morning. They were great. Hey Lori, thanks for letting us know about the arrowhead gf success! So happy it worked. These were SO good! I made them for Christmas morning (prepped the day before, which worked out wonderfully). We have homemade vegan cinnamon rolls every Christmas and my 4 year old declared them “better than all the other years!” so this will be a keeper recipe for sure. I somehow missed buying vegan cream cheese so we just had them with a powdered sugar frosting but next time I’ll be sure to remember the cream cheese because I bet that’s even more delicious. Just as an aside- my kiddo has milk, egg, and nut allergies so we’ve been partly immersed in forced dairy and egg-free cooking for a few years now but we’re now transitioning the whole family intentionally to a plant-based diet and your recipes and advice (the blog and both cookbooks) have been quite helpful as we figure out how to do this and find new foods we’ll like. Thanks for sharing your wonderful work with the world! Hey Rachel, Aww, your 4 year old knows how to sweet talk a lady! haha. That’s so great you all loved them. We made them for Christmas morning too (love that make-ahead option). And I’m so glad to hear you are enjoying so many recipes from the blog and books! Thanks for all your support. I hope 2018 is off to a great start! Delicious! I made mine new year’s eve and went through the second rise, before storing in the fridge, covered tightly. I have done a lot of baking, had new yeast and it proofed well, so not sure why mine came out kind of dense and flatter than I expected. I will try them again when I can do it all in one fell swoop without them resting in the fridge. I also halved the icing recipe since I only had 1/2 a container of vegan cream cheese, and it was plenty! Thanks for the great recipes, and happy new year! Hey Kathy, So glad to hear you tried this for New Years! I wonder why they came out flatter than expected…very strange, indeed! I’ve had great results when storing them in the fridge after the second rise. Just curious, what kind of flour did you use? Also, did you put the dish in a warm spot for a half hour before baking them the next day? I pop them into the oven with the light on for 20 minutes, then remove them an place on the counter for another 10 while the oven preheats. Hope it goes better next time! Somehow my husband seemed to recall my making cinnamon rolls last year at Christmas and was disappointed when I didn’t this year. I said the only cinnamon rolls I ever made at one point in my life were likely Pillsbury ones. I do enjoy baking, but cinnamon rolls didn’t seem like territory I’d want to venture into… How can you compete with places like Cinnabon?! Not wanting to disappoint him, I decided to make them to start off 2018! I have never used a recipe from Angela that I didn’t like (and I feel like I’ve made everything in her book!). This was no exception! There are a few steps to making them and some wait time in between, but the ingredients are easy, no fancy equipment required and BOY are they worth it! My husband (who is not vegan) was very impressed!! What a great way to begin Veganuary! Thanks, Angela! Aww Kathy, I enjoyed reading your story so much! I have a big smile on my face. Thank you so much for the feedback! I’m so glad you tried it out. These are sooooooo good! My sister made them for Christmas brunch. Has anyone tried making these with a gluten free flour? Almond flour? Coconut flour? Hey Jessica, Some readers have made them gluten-free so you may want to peek through the comments for tips! I recall a couple people saying that the Bob’s Red Mill gluten-free pizza flour mix worked great (and it comes with a yeast packet inside…score). I have a bag in my pantry so my next trial will be that one! Let us know if you try anything out. Hi there! I’m having to follow some new dietary restrictions, have you by chance tried these with coconut oil instead of vegan butter? I’m going to give it a shot, but wondered if it had already been done. Thanks! Hope this helps Ashley and please let me know if you try it out! A gluten free version worked! Woohoo. They need the icing, but alone they’re still tasty!! I increased the amount of water in the yeast by 1/4 cup and put in another 2T of water during the kneading part. I added coconut nectar to the pan sauce to increase the liquid level. When working with gluten free flour and omitting eggs you need to up the liquids. This looks so scrumptious! Definitely on my list for recipes to try. Love these! Might I suggest a note to wait to frost 10-20 minutes depending on whether you want them more glaze or more frosted. Also a note to start with softened butter for the frosting. Thank you so much for sharing this recipe. Will make again! I guess I should read the recipes all the way through! I answered mynown question! Hey Chevaun, If you have leftovers, you can wrap them up and chill them in the fridge for up to 48 hours. I like to reheat unfrosted rolls in the oven on a baking sheet for 5 minutes at 350°F (180°C). The oven returns them to their amazing gooey-soft state! Alternatively, you can freeze the cooled unfrosted rolls (wrap them in a layer of plastic wrap, followed by tinfoil) for a week or two. To reheat, simply unwrap and pop them frozen onto a baking sheet and into the oven for 10 to 12 minutes at 350°F (180°C) until warmed throughout. Hope this helps! Great recipe, I’ll share on my social media :P.
Just spent the afternoon making these. They turned out perfect!! So soft and fluffy. I replaced all of the flour with spelt and while it did taste more earthy the texture was not any different. And the recipe was very easy to follow! Thanks. Hey Hanna, I’m so happy it worked so well with spelt! Just curious, did you use whole-grain spelt or light/white spelt flour? What do you think makes this recipe different from other vegan cinnamon roll recipes? We are always looking for vegan recipes that satisfy my son as well as all non-vegans in the family so we don’t have to make two different things. This fits the bill. These were so delicious. These were so mouth-watering, buttery-tasting, better than cinnabon! Oh my! I’ve not made one dish of yours that wasn’t delicious! My family and friends looove the recipes I make that are yours. You are my #1 chef!!! Seriously!!! When will you open a restaurant? Aww Rahisha THANK YOU!! Your sweet comment just made my day. I really appreciate your support!! I made these for my family for breakfast this morning, and everyone loved them. Takes a while to make (almost 4 hours start to finish – I got up at 6. :), but totally worth it when you have the time. I followed the recipe with no substitutions. Thanks so much for posting great vegan stuff, I’ve made a number of your recipes over the years. Hey Dave, So glad you tried out the cinnamon rolls and enjoyed them! Thanks for all your support. Made these over the weekend…. Amazing!!!!!! Thank you for the recipe! I’m so happy you tried them and loved them Kara…thanks! Is it possible to use the soft margarine-ish vegan butter? Hey Dana, I think that’s the kind I used in this recipe and it worked fine. I’d love to hear how it goes if you try it out! Hi Stephanie, I’m so glad to hear this! Thanks for your review. I love that you made them ahead! Hi Angela! What’s a good substitute for almond milk? 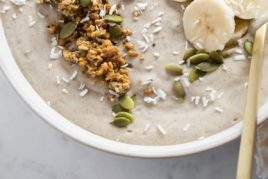 Can I use oat milk or coconut milk? Hey Paula, Yes I think you could use oat or coconut milk as long as you like the flavour. :) Happy baking! Hi! I am hoping to make these for a girl’s weekend away. Because I’ll be busy the week before, I was wondering if there was a way I could prep and then freeze the dough at the first rise. Do you think this work work? This recipe literally tastes like THE cinnabon. I love the wholesome ingredients and easy to understand instructions! Its delicious! The only opinion I really have is to make it on a lazy sunday, it does take up some time! Just came by to say these are the best home-baked cinnamon buns EVER including all the non-vegan versions I have made in the past. After discovering this recipe a year ago we have made these as a family MANY times. Sometimes the dough doesn’t rise as much as other times and I am still troubleshooting this, but it doesn’t matter because they are seriously delicious no matter what. We have used Becel Vegan margarine and prefer the flavour to Earth Balance butter. We also increase the pan sauce by 50% and instead of melted butter (margarine) on the rolled rectangle of dough we spread the soft margarine with a knife, using more than 1/4 cup likely. We will be making these forever! Hi there, I am looking for new ideas for annual Christmas morning brunch. fridge rise overnight or not. Have you tried it and does it work if you have. I haven’t tried doing a rise in the fridge but if you try anything I would love to hear how it goes. Wishing you a lovely Christmas! I’ve tried different vegan cinnamon roll recipes. THIS recipe is beyond delicious! Reminded me so much of Cinnabon Brand the ones you find at the mall. These cinnamon rolls took more time and effort but extremely worth it. Thank you so much for creating & sharing this lovely recipe! Could I use a 1:1 ratio gluten free flour blend (that’s says they are 1:1) ? I’m glad the detail in the directions helped you!! I was on the fence as to whether to provide so much detail as it does make the recipe look intimidating, but I think it’s better not to be vague with these types of recipes especially. So happy you enjoyed them! These cinnamon roles are so good! I am not a baker, but the instructions were easy to follow and I will definitely be making these for my family for the holidays! Good morning! May I use the dough cycle in my bread maker? Thank you these look wonderful! Hey Elizabeth, Oh that’s a great question…apologies in advance as I’m not sure of the answer! You might be able to follow a cinnamon roll bread machine recipe online as a general guide (while using my ingredients?). I’d love to hear how it goes if you try it out! Hi! They look delicious. Thanks for the make-ahead option. I was wondering: can these buns be frozen before cooking? Hi Véronique, Oh that’s such a good question. I haven’t tried it before so I’m not sure. I do know that the cooked buns freeze very well if that helps at all (I like to warm the thawed cooked buns in the oven). I have made this many, many times, everyone loves it. Ohhhhhhh, rolls just amazing. Uh, even my daughter ate them (she doesn’t like sweet stuff) Thank you so much for sharing this recipe! 1) for the dough, I substituted homemade date paste for granulated sugar, replaced 1/2 cup of white flour for 1/2 cup of spelt flour, and used unsweetened applesauce in place of the vegan butter. 2) for the filling, I substituted my homemade date paste (same quantity,) for the granulated sugar. 3) for the frosting.. to reduce the fat, I substituted half the vegan butter for apple butter, and used a smaller quantity of homemade date paste for the sugar. Again, super great recipe that is much healthier for us all. Thanks for sharing it! AMAZING!!!!!!!!!!!!!!! Even non-vegans who swear by butter in desserts can’t resist these amazing cinnamon buns! If you have the time to make them definitely do it they turned out beautiful and although it’S a process, it’s easy enough and they are SO good.